A Pagan student will celebrate religious ceremonies with small groups on Full Moons and at the beginning and midpoint of each season, rather than with large congregations or at a set weekly schedule. These celebrations are often called 'rituals', 'circles', ‘blots’, or ‘sumbels’, and the congregations called 'covens', 'groves', 'hearths', or 'circles'. Some of the items commonly found on the altar in a Pagan ceremony are statues of the Goddess or God, candles, crystals, wands, the athame, a blunt-edged dagger used as a symbol and not as a tool with which to cut, cups, cauldrons, incense, and a five-pointed star called the pentagram or pentacle. A Pagan student may wear a symbol of his or her religion as an item of jewelry. The most common symbol is the pentacle, a five-pointed star in a circle. The misconception of the pentagram as a satanic symbol is based upon its inverted use by those groups, in the same manner in which devil-worshippers may use the Christian cross inverted. The meaning of the pentacle as worn by Pagans is rooted in the beliefs of the Greek Pythagoreans, for whom the pentagram embodied perfect balance and wisdom; inserting the star in the circle adds the symbol of eternity and unity. Other jewelry that may be worn includes Celtic knotwork, crosses, and triskelions; Thor’s hammer; the labrys, a double-headed axe used as a symbol by Greco-Roman worship of Cybele; Goddess figurines; crescent and/or full Moon symbols; the Yin-Yang symbol; or the eye of Horus or horns of Isis from Egyptian mythology. A Pagan student will believe in magic, and may spell it 'magick' to differentiate it from stage illusions. This may include belief in personal energy fields like the Chinese concept of chi, and may also include the use of rituals and tools to dramatize and focus positive thinking and visualization techniques. It does not mean that the student is taught that he can wiggle his nose to clean his room, summon spirits or demons, or do anything else that breaks natural laws, though if young, like any child, a Pagan child may pretend these things. It also does not mean that the student is taught to hex or curse; in our ethical structure such actions are believed to rebound on the sender, and therefore are proscribed. A Pagan student may call herself a Witch, a Wiccan, a Pagan or Neo-Pagan, a Goddess-worshipper, an Asatruer, a Druid, or a Heathen. He is unlikely to call himself a Warlock, as that is believed to come from the Scottish word for 'oathbreaker'. And while a Pagan student may or may not be offended by the stereotype, she is likely to quickly inform you that the green-skinned, warty-nosed caricature displayed at Halloween bears no relation to her religion. A Pagan student will be taught ethics emphasizing both personal freedom and personal responsibility Pagan ethics allow personal freedom within a framework of personal responsibility. The primary basis for Pagan ethics is the understanding that everything is interconnected, that nothing exists without affecting others, and that every action has a consequence. There is no concept of forgiveness for sin in the Pagan ethical system; the consequences of one's actions must be faced and reparations made as necessary against anyone whom you have harmed. There are no arbitrary rules about moral issues; instead, every action must be weighed against the awareness of what harm it could cause. Thus, for example, consensual homosexuality would be a null issue morally because it harms no one, but cheating would be wrong because it harms one's self, one's intellect, one's integrity, and takes unfair advantage of the person from whom you are cheating. The most common forms in which these ethics are stated are the Wiccan Rede, "An it harm none, do as thou wilt," and in the Threefold Law, "Whatsoever you do returns to you threefold." A Pagan student will hold a paradigm that embraces plurality. Because Pagan religious systems hold that theirs is a way among many, not the only road to truth, and because Pagans explore a variety of Deities among their pantheons, both male and female, a Pagan student will be brought up in an atmosphere that discourages discrimination based on differences such as race or gender, and encourages individuality, self-discovery and independent thought. A Pagan student is also likely to be taught comparative religions; most Pagans are adamant about not forcing their beliefs on the child but rather teaching them many spiritual systems and letting the child decide when he is of age. However, a Pagan student is unlikely to have an emotional concept of Heaven, Hell, or salvation as taught by Christian religions, though he may know about them intellectually. And a Pagan student will be taught to respect the sacred texts of other religions, but is unlikely to believe them literally where they conflict with scientific theory or purport to be the only truth. A Pagan student is likely to enjoy reading, science, and helping professions. 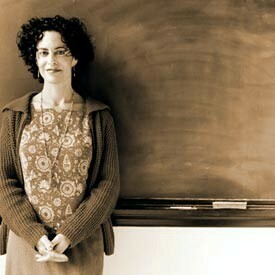 Margot Adler, National Public Radio journalist, reported the results of a survey of Pagans in the 1989 edition of her book, Drawing Down the Moon. The results showed that the one thing Pagans hold in common despite their differences is a voracious appetite for reading and learning. Pagans also seem to be represented strongly in the computer and health-care fields, so the Pagan child is likely to be computer-literate from an early age. Despite their sometimes misunderstood beliefs, earth-based religions have grown steadily throughout the past few decades, and provide a satisfying spirituality to their practitioners. With the current appreciation of diversity and tolerance, more people now understand that different cultural backgrounds bring perspectives that can be valued instead of feared. It is our hope that as an educator this will provide you with the information you need to be able to facilitate understanding.